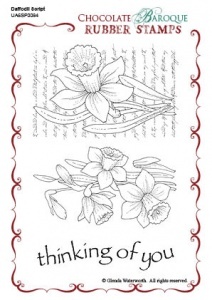 This rubber stamp set contains two images of daffodils, one being set against a script background, and the words 'thinking of you'. Suitable for many occasions. This is a very good quality stamp. It arrived very quickly too.